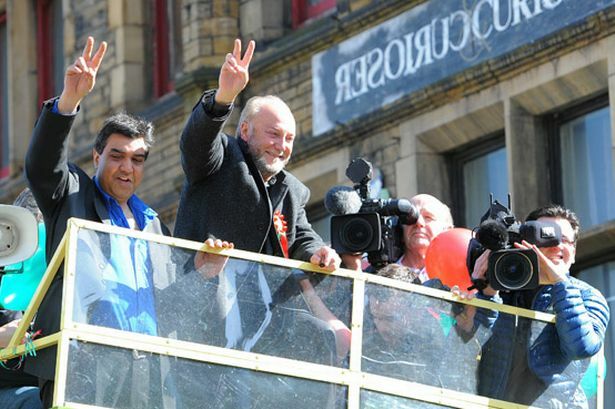 Many of by-election winner George Galloway's political enemies condemn him for flattering Saddam in 1994 and saying Assad was a reformer in 2005. Like most people (most definitely including me) he has plenty of faults. He can be a bit over the top, seem arrogant, exaggerate sometimes, make mistakes, be intolerant of those who disagree with him and sometimes (e.g on Tibet) I completely disagree with him. He also sometimes talks as though anyone who is an enemy of the US government and it's allies must basically be in the right or admirable (though not nearly as often as some of his critics suggest). Those faults pale in comparison with some of his political enemies' statements and actions and duplicity though, but his political enemies don't get nearly the same amount of condemnation that most of the media have for Galloway. Tony Blair called President Mubarak of Egypt "immensely courageous and a force for good" even after Mubarak had protesters killed by police (1). US Vice President Joe Biden meanwhile claimed Mubarak was "not a dictator" on the grounds that he was an ally of the US and no ally of the US could possibly be a bad man (2). US Secretary of State Hillary Clinton's initial view of Mubarak's killing of protesters was that "the Egyptian government is stable and looking for ways to respond to the legitimate needs and interests of the Egyptian people" (3). To be fair some Republicans were outraged by these statements - they wanted the US government to be even more supportive of Mubarak (4). The Obama administration did eventually call for Mubarak to step down - in favour of his vice President and chief torturer Omar Suleiman (5). I must have missed Times columnist and Tony Blair fan David Aaronovitch's ringing condemnations of Blair, Biden and Clinton for this pandering to murdering dictators. Aaronovitch, in one of his Times columns, claims Galloway praised Assad as a reformer in April 2011 during the Arab Spring uprisings (6). The only reports from any mainstream source which I can find of Galloway praising Assad as a reformer are from 2005 and 2006, when everyone thought Bashar Al Assad might turn out to be a reformer (at least compared to his father) (7). US Secretary of State Hillary Clinton still said Assad was considered a reformer on 27th March 2011, two days after around 23 protesters were reported shot dead in a single protest in Syria (8) - (9). Again, I must have missed Aaronovitch's condemnation of Hillary Clinton for this - I did see him condemn Galloway for saying something similar though. Galloway had written a blog post in August 2011 condemning Assad's forces' actions as terrorism and those of a police state and saying there was a "genuine popular uprising" in Syria, while also pointing to a minority among the anti-Assad movement of armed sectarian Sunni extremists who are being backed by various foreign powers for their own ends - a much more balanced analysis of what's going on there than Aaronovitch's ridiculously one sided one (10). This was seven months before Aaronovitch's column, but Aaronovitch made no mention of it. What's much worse than their statements of support for dictatorships is that the Obama administration (like the Bush administration before it) and the Coalition government, like 'New Labour' before it, have not only praised but also armed many dictatorships as they're committing massacres - just like all their predecessors. When Saddam was actually committing genocide against Iraqi Kurds in the 1980s (during the Iran-Iraq war) the British and US and French and Russian and Chinese governments were arming and funding him against the Iranians under Ayatollah Khomeini. Funding from the US government continued after the gassing of Halabja in 1988 and arms sales and "dual-use" exports to Iraq continued to be quietly approved by the American and British governments until 1990 (see the blog post on this link and sources 5 to 10 on it as well as this document and this one from the US National Security Archive on sales of US helicopters and heavy trucks to Saddam). While Galloway signed eight parliamentary motions condemning and calling for an end to US and British support for Saddam between the gassing of Halabja and 1990, Tony Blair MP refused to sign any of them (11). Similarly today the US government has continued it's $1.3 billion a year military aid funding to Egypt (plus approving arms sales ) under it's military regime, just as it did under Mubarak, despite the fact that Amnesty International found Mubarak was having people tortured and killed ; and that they have since repeatedly reported that the military regime that replaced him is as bad or worse than Mubarak was . The decision seems to have been that heavily subsidised arms industry jobs in America were worth more than peoples' lives or democracy in Egypt (12) - (14). The US and British governments have also continued arms and supposedly "non-lethal" tear gas sales ( with tear gas having killed dozens of people when used in high concentrations in Bahrain already) and military training to the forces of the dictators of Saudi Arabia and Bahrain (calling them 'monarchies' is supposed to make their torture and murder and dictatorship more legitimate somehow) as their forces torture and kill protesters (15) - (19). Tony Blair, who claimed he sent British troops into Iraq to free Iraqis from a brutal dictator (before going on to involve them in US led war crimes and torture) ; accepted money from a South Korean oil firm looking for contracts in Iraq - and has since become a paid public relations consultant for the brutal dictator of Kazakhstan who has striking oil workers and protesters gunned down by security forces with machine guns (20) - (22). So which is worse? Flattering one dictator once and saying another might be a reformer when most other people also thought that was a possibility? ; or arming and funding dictatorships as they torture, kill and even commit genocide? I don't agree Galloway on everything - for instance his claim that Tibet has always been part of China sounds to me a lot like the argument made by extreme Israeli hardliners that the West Bank has always been part of Israel on the basis of some 4,000 year old biblical Kingdom of Israel. However, despite all his faults, compared to most of his political enemies and rivals George Galloway is a fairly honest and straightforward man. Compared to snake oil salesmen like Tony Blair and David Cameron he's almost a saint. The BBC and Channel 4 News seemed to have exactly the same questions for George Galloway after his victory in the Bradford West by election, including whether he would condemn attacks on British troops by Afghan insurgents. Galloway’s response was that since British troops are occupying Afghanistan they are bound to be targeted by Afghans, just as if foreign forces were occupying Britain, some British people would be attacking them. 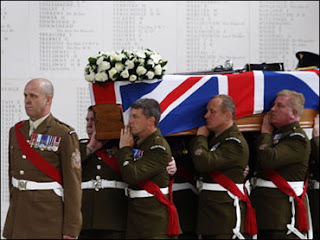 So condemning the attacks on British troops makes no difference whatsoever - it's an empty gesture. Bringing them home might actually save some of their lives though. This BBC and Channel 4 both seem to believe that this view is beyond the pale because it’s a different one from the leaders of the three main UK political parties, but in fact it’s entirely rational and based on the facts as established by even US intelligence and the US government. A few weeks before that David Cameron was with President Obama claiming that the war in Afghanistan is about preventing another September 11th and protecting people back in Britain and the US from terrorism (3). This ignores the fact that the September 11th attackers trained in Germany and the US, not in Afghanistan – and that at no point in a ten year long war have NATO or the Karzai government’s forces controlled all of the territory of Afghanistan. There will always be areas in the mountains of Pakistan and Afghanistan where terrorist groups could train. So there is no reason to think that the war in Afghanistan could ever reduce the terrorist threat and plenty of reason to think it will increase it by having non-Muslim forces ending up killing Muslims, including civilians, in a predominantly Muslim country. Since 90% of the people NATO are fighting in Afghanistan aren’t Taliban either, the war can’t be mainly about stopping the Taliban either. The fact that our governments have no problem with continuing to arm and fund dictatorships or military regimes in Yemen, Bahrain, Saudi and Egypt as they kill and torture unarmed protesters shows how much they really care about promoting democracy or human rights. This does not make all the sacrifices of their lives by British troops in Afghanistan meaningless. They gave up their lives believing they were stopping Afghanistan falling back under the rule of the Taliban – and maybe they did. Certainly far more girls have been able to go to school in Afghanistan in areas controlled by NATO and the Karzai government than could under the Taliban – and there have also been some horrific murders of schoolgirls by the Taliban – but many of our allies in Afghanistan are as brutal or as fundamentalist as the Taliban are – and most of the people our forces are fighting are not Taliban at all.